Her Excellency, Lolo Cecelia Ezeilo, the Deputy Governor of Enugu State was born in Amokwe, Udi Local Government Area of Enugu State. She was married to His Royal Highness, Igwe Barr. Malachy Ezeilo (Ezeanyanwu) of blessed memory, who was the traditional Ruler of Ozom Aguobu Owa in Ezeagu Local Government Area of Enugu State and a one time Commissioner for Works and Housing in the old Anambra State and Chairman Rural Electrification Board under Governor Chief Jim Ifeanyichukwu Nwobodo. Her Excellency is a lawyer by profession. She worked in the Enugu State Broadcasting Service (ESBS) as a programme producer and presenter before she joined active politics. In 2011, she was elected into Enugu State House of Assembly as the Honourable Member representing Ezeagu Constituency. She was the Deputy Chief Whip and House Committee Chairman on Judiciary, Ethics and Privilage. As a result of her effective representation, she was re-nominated for a second tenure in office. Shortly after her re-nomination, Rt Hon. 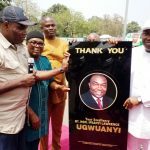 Ifeanyichukwu Ugwuanyi picked her as his running mate in the 015 gubernatorial election under the platform of People’s Democratic Party (PDP). Her Excellency, Lolo Ezeilo is the First Female Deputy Governor of Enugu State since its creation in 1991. And the first female to represent Ezeagu Constituency in the Enugu State House of Assembly since its creation. As a wife, she aptly fills the adage that behind every successful man is a woman. As a mother, she is loving and caring, she is blessed with children. As civil servant, her programme production and presentation of today’s woman touched the lives of many. As a law maker, she served as House Committee Chairman on Judiciary, Ethics and Privilege and held the position of the Deputy Chief Whip where she sponsored the bill on people with special needs, moved a motion on importance of Driving License and reviving some of our moribund industries- Cashew Industry in Oghe, Ezeagu. She is a strong supporter of women transformation agenda in Enugu State, which when ultimately realized, shall make women in state elevated from domestic chores to a totally economically emancipated class in the society. Furthermore, while in the State House of Assembly, and the House Committee Chairman on Judiciary, Ethics and Privilege she adopted Alternative Dispute Resolution mechanism (ADRM) as a procedure which is seen as a better and faster method of resolving public petitions sent to her Committee. 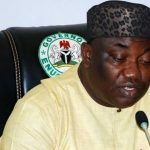 It was on record that her mature approach to issues during her sojourn in the House of Assembly, made the legislature and the judiciary to experience a peaceful co-operation as separate arms of government in Enugu State. 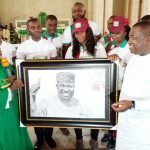 The group of political elites from Ezeagu, has also described her as a special gift to Ezeagu land. Just few months in office as the Deputy Governor, she has succeeded in uniting all political groups in Ezeagu into one family with one voice. Her Excellency, Lolo Cecelia Obioma Ezeilo is such a modest, gentle and intelligent leader that anybody who is privileged to come in contact with her would like to identify with her. She is a dedicated Christian and has a motto, which says that “what so ever you wish that men do for you, do so unto them, for the seed you sow you shall reap” a rare philosophy that continues to place her shoulder high above her contemporaries and which has continue to earn her steady elevation from one level to another.